team of very professional sales consultants. 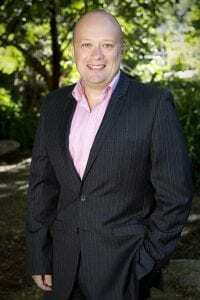 Peter asserts himself as a true professional with a solid background in Real Estate, having been successfully selling properties for the past ten years. Previous roles have armed Peter with a varied appreciation and wide variety of property and sales experience including traditional residential sales, land sales, house and land sales, business broking and project sales. Applying this extensive level of knowledge to the sale of your property, you can be certain that Peter will provide the highest level of service and attention to detail in the selling of your property. With an exceptionally strong work ethic, Peter not only believes in his own ability to provide his clients with the highest level of service and the best opportunity to achieve their ultimate sales goals, but maintains a staunch loyalty and sense of overall duty to his clients. er’s natural ability to think strategically and creatively and find solutions to any type of challenge, place him in the best possible position to achieve your desired results. Operating to the very highest of standards, Peter has always enjoyed excellent relationships with previous clients largely due to his insistence on maintaining open and honest communication channels and conducting himself with absolute integrity throughout the entire sales process – from listing through to settlement. Assertive and to the pointby nature, Peter couples sincerity and a genuine concern for the ultimate outcomes of his clients in achieving his goal – to sell your property at the highest possible price, in the shortest possible time frame and see you deliriously happy with the level of service and communication that you receive throughout the journey. And look out for ‘the agent in the pink shirt’ on a sold sign near you!